Weeks ago my complexion changed again (I experience that a minimum of 3 times a year) and I realised that all the products I had were now slightly too dark for me. "What brand have I not tried? Should we go for premium or just affordable? ", I asked myself. 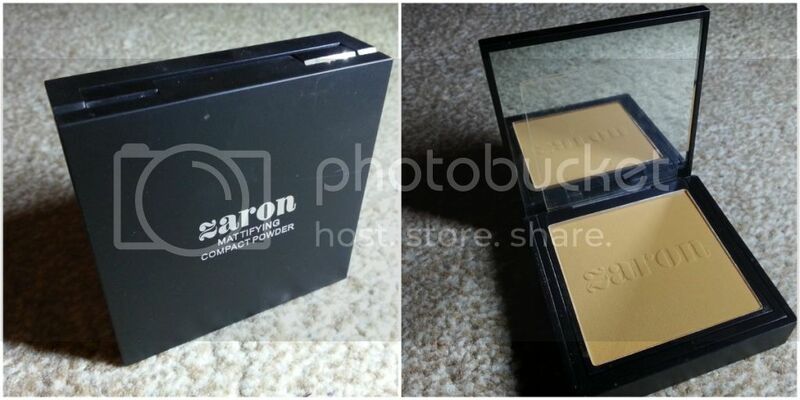 Surely at that time, affordable won and off I went to the Zaron store as I was yet to try their new range of foundations, compact powders and lipsticks. 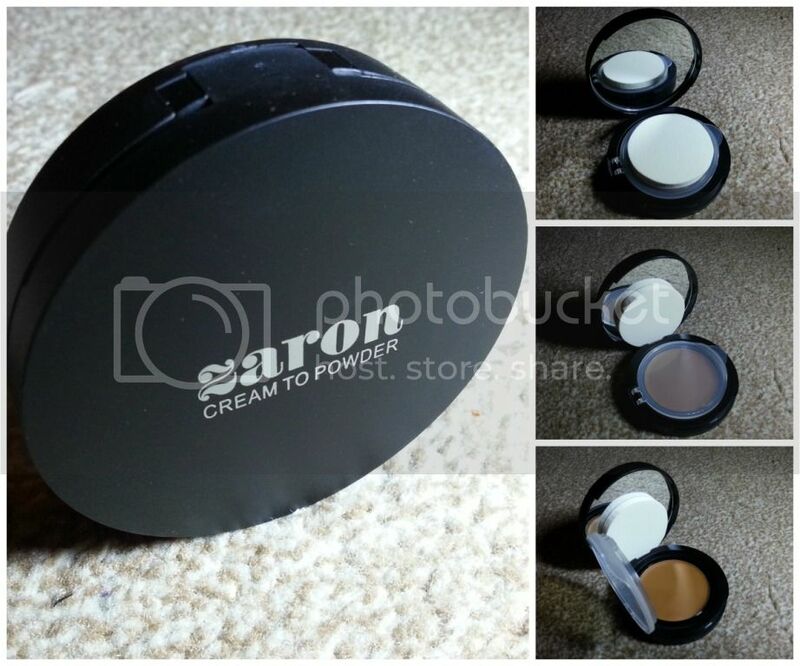 The Cream-to-powder has a dry formulation which makes it really good for under eye coverage. It does tend to be tricky to apply so I advise a good dose of moisturiser on the skin before application or a spray of Fix+ on the face right after application before blending just to break down the formula. The packaging is really innovative and totally solves the problem of dirt and air on the product. The powder is is actually made of really fine granules which shift easily. I love that fact because I can use this product as a loose powder too. I have not had the opportunity of using this product on someone else so can't say much about the mattifying aspect of this product. I use it to set my under-eye product and so far I love the finish it gives. These products have just the right amount of yellow to brighten up my skin and for that I absolutely love them. I used the Sleek cream-to-powder and compact powders for a while (I still do) but I usually had issues with the amount of red in them. Tinky Winky is a purplish-pinkish colour. I love the fact that it is in-between the 2 shades. I used it to create an ombre lip on my mom when she came for the weekend and she loved it. Tonee Red is a rusty red colour. it is about the most subdued shade of red in my lipstick collection so I have been a bit hesitant to use it by itself because of that. I have actually used it with another shadeand it came out pretty well. 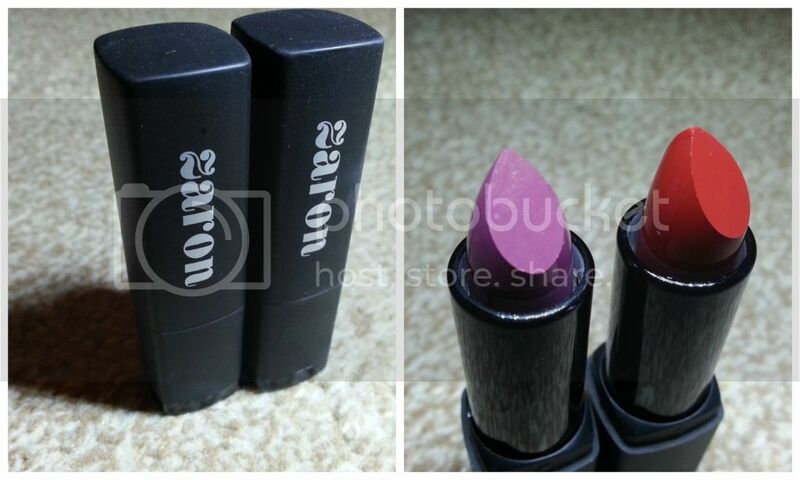 The formulation of the lipstick is a cross between matte and creamy and I daresay that satiny doesn't quite describe them too. Guess I will have to think up a suitable term to describe the finish they give, lol.